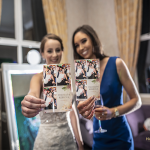 The Selfie Mirror Photo Booth from hireaphotobooth.ie is the latest photo booth innovation. 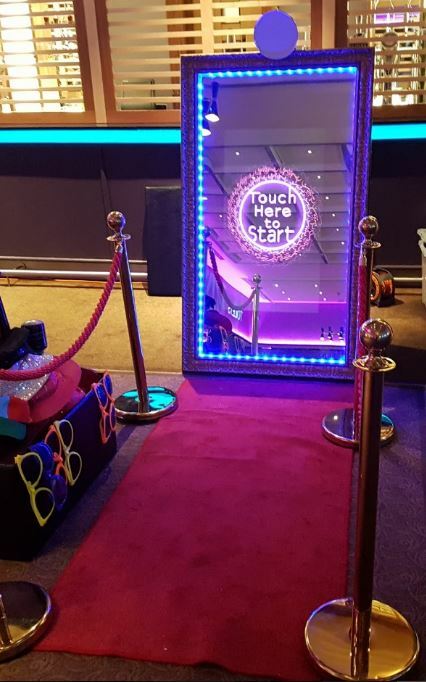 Brand new for 2016 the Selfie Mirror Photo Booth is sweeping the country and we are proud to be leading the craze . 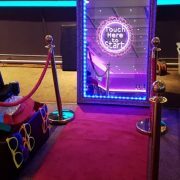 This full length selfie mirror captures full length photos using interactive touch screen technology .Once you’ve dressed up and had your photos taken you can then sign the Selfie Mirror and your signature will then print out on your photos . For our wedding customers we still include a guestbook where we put in a copy of the photos taken and then the guests can write a short message beside them , this way you get the best of both worlds. Email info@hireaphotobooth.ie for more info.